Carbon nanotubes are a remarkable material – more conductive than copper and stronger than steel, yet just a billionth of a metre wide. Their application has already proven invaluable across science and engineering, but only recently have scientists looked into expanding their functionality even further as a unique source of light. Dr YuHuang Wang and his research group at the University of Maryland have now synthetically created ‘quantum defects’ in carbon nanotubes that luminesce brightly in the near infrared. This work has opened up opportunities for experiments in fields ranging from biochemistry to quantum physics. 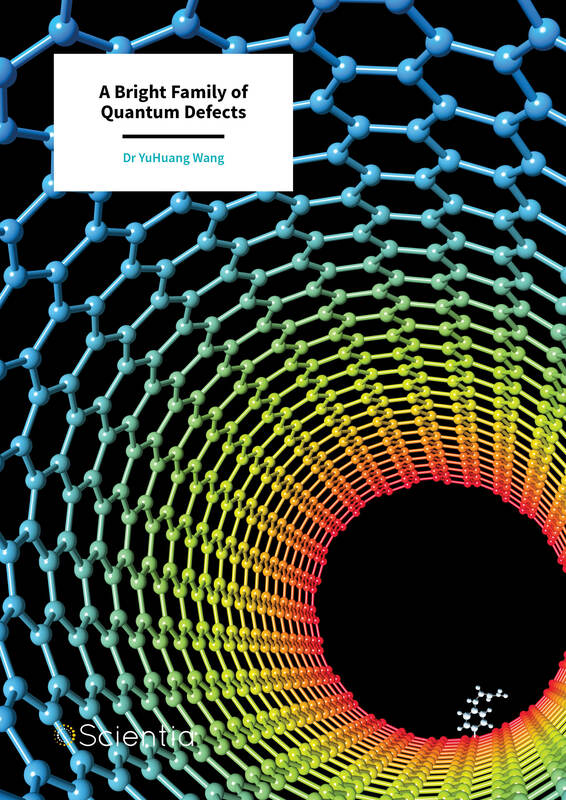 The story of Dr Wang and his team’s research may begin with graphene. Itself a fascinating material, graphene consists of single-layers of carbon atoms arranged in a honeycomb structure. When sheets of graphene are conceptually rolled up into cylinders, they create one-dimensional structures that the world of material science has become much indebted to: carbon nanotubes. Depending on the structure in which the carbon atoms are arranged within that cylinder, the resulting nanotube can have a variety of different properties. One particular result of this structural arrangement is the determination of whether the nanotube is a conductor or a semiconductor. To test this distinction, a scientist can cause a nanotube to absorb a packet of light energy, called a ‘photon’, which excites an electron in the nanotube to a higher energy level. If the nanotube is a conductor, another electron will immediately come along to fill the place where the excited electron had been. However, in semiconducting nanotubes, the electron will leave behind a ‘hole’. The excited electron and this corresponding hole, together known as an ‘exciton’, can travel down the nanotube as a quasi-particle. Depending on the other properties of the semiconducting nanotube, the excited electron will either recombine with the hole by losing the excess energy as heat (known as a ‘dark’ state) or by emitting a photon (a ‘bright’ state). One problem that Dr Wang and his colleagues initially faced was that dark states occur at lower energy levels than bright states. That means for unmodified carbon nanotubes, dark states occur far more frequently, and that photon emission from excitons is particularly inefficient. However, by attaching groups of molecules to the walls of nanotubes through chemical bonding, bright emissions can be made to occur far more efficiently. 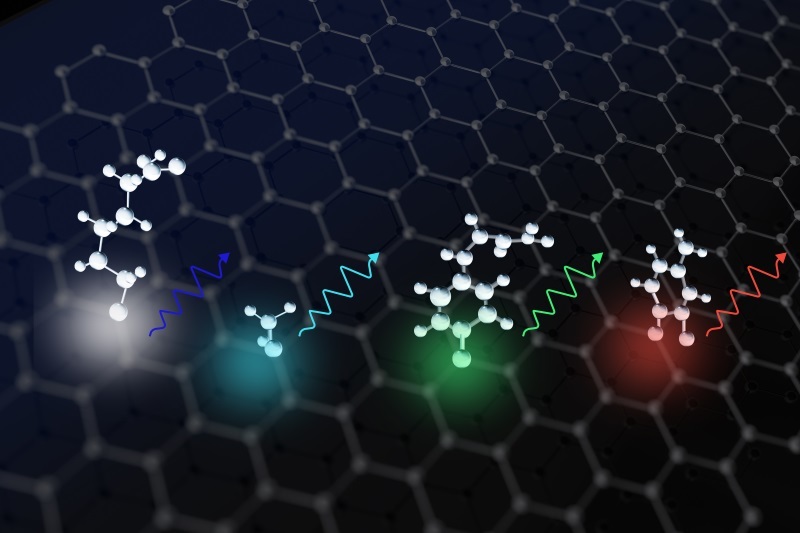 These molecular groups create ‘quantum defects’ that have a lower energy level than the dark states, allowing the excitons to be trapped there and emit light. ‘One may picture the semiconductor host as an ocean, whereas the quantum defects create potential wells or islands,’ Dr Wang explains. The excitons are channelled to the potential well where the energy of the bright state is driven below that of the dark, allowing emission from the excitons to occur efficiently. ‘We found that by pushing the potential well deeper, we can efficiently harvest the so-called dark excitons, which were theoretically predicted but had been experimentally inaccessible,’ adds Dr Wang. Overall, 28-times more photons could be produced by nanotubes with quantum defects than by regular carbon nanotubes. After Dr Wang’s initial experiments, this improvement in photon emission, or ‘photoluminescence’, has already introduced a range of useful applications for scientists. Importantly, the nanotubes can be used as pH sensors. Depending on whether the surrounding environment is an acid, which contains an excess of protons, or a base, which is proton-deficient, the molecular structure of certain quantum defects will change in predictable ways. These structural changes subsequently vary the intensity and peak position of the quantum defect’s photoluminescence, depending on the acidity or basicity of the surrounding environment, allowing scientists to accurately measure pH at molecular scales. The photoluminescence of the quantum defects also changes depending on the temperature of their surroundings, allowing scientists to use the nanotubes as nano-thermometers. These early experiments demonstrate how carbon nanotubes can be modified for use as sensors with high chemical selectivity even in complex biological systems. However, Dr Wang’s team is conducting further, more intricate studies to further improve the practicality of these defect sensors. Dr Wang and his colleagues have found that a variety of different defects can be created by chemically bonding molecular groups to the surfaces of semiconducting carbon nanotubes. By precisely monitoring these chemical reactions, the nature of the subsequent photoluminescence can be made to vary widely. In each of the functionalised nanotubes they have produced, the frequencies (or energies) of the photons emitted by excitons that are trapped by these defects entirely depend upon the unique molecular structure of the defect. This is an incredibly useful result, as it means that scientists can alter carbon nanotubes after they have been synthesised to produce whichever type of photoluminescence that is required. In other words, Dr Wang’s team has created a ‘tuneable’ quantum emitter – a much desired tool among scientists wishing to control photoluminescence at a molecular scale. Overall, Dr Wang and his team have produced over 50 distinct quantum emitters with the same nanotube host structure, giving scientists a wide range of distinct, tuneable types of photoluminescence to choose from. In their most recent studies, Dr Wang and his colleagues worked towards improving the efficiency and precision with which photon-emitting carbon nanotubes can be synthesised. 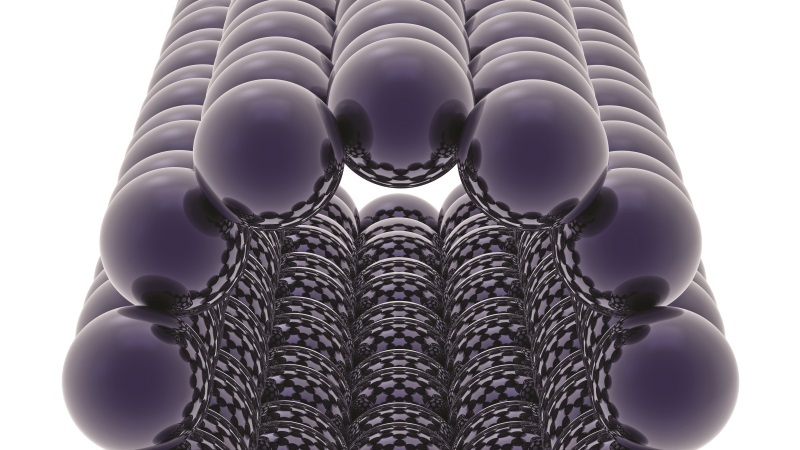 In previous studies, extreme conditions were required for defects to bond to the nanotubes. However, Dr Wang’s team discovered that the process could be made far more efficient, which would be important for scientists wishing to synthesise tuneable nanotubes in their own labs. To do this, the team exploited the effect of ‘resonance’ on their carbon nanotubes. As with many physical systems, from bridges to individual atoms, carbon nanotubes have a natural frequency at which they vibrate. When driven by an external force featuring the same frequency, the amplitude of the vibrations will greatly increase – an effect known as resonance. For carbon nanotubes, this resonant frequency is on the same scale as the frequencies of visible light. When driven to resonance by a visible light photon (a process called ‘optical resonance’), electrons in the carbon nanotube become excited, which may heat the material through a process known as the ‘photothermal effect’. Under these conditions, molecular defects can chemically bond to nanotube surfaces around 154 times faster than without light. Under such controlled conditions, scientists can engineer quantum defects into their nanotubes far more precisely and efficiently. Dr Wang and his colleagues also use optical resonance to selectively choose carbon nanotubes with particular structures to incorporate the molecular defects. As discussed earlier, carbon nanotubes can have a wide variety of arrangements of carbon atoms composing their surfaces. The distinct structure of each nanotube is described by a symmetry property known as their ‘chirality’. Nanotubes with different chiralities will exhibit slightly different properties – and among these is their optical resonance. With this in mind, Dr Wang’s team subjected a mixture of carbon nanotubes made of two different chiralities to a single frequency of visible light and reacted them with a particular molecular group to create a quantum defect. Since this light only causes the nanotubes of one chirality to optically resonate, only they react with the molecules to form photoluminescent defects, while the nanotubes of the other chirality were excluded from the reaction. This result reveals a wide range of potential applications in nanoscale engineering, including the ability to ‘write’ such fluorescent features in carbon nanotubes on a molecular scale. Dr YuHuang Wang completed his PhD in chemistry at Rice University in 2005. He was one of the last graduate students of the Nobel Prize winning chemist Richard E. Smalley, who he had first read about while growing up in rural China. 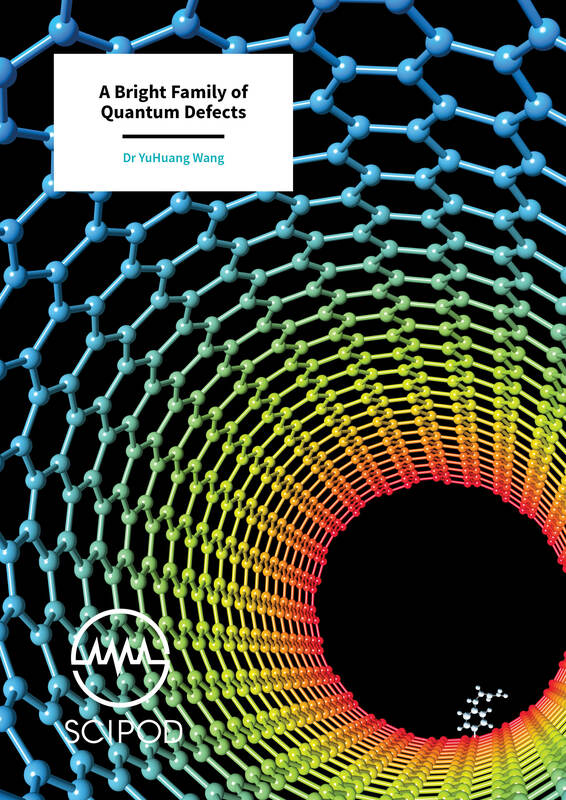 Dr Wang has since brought about a range of important developments in nanotechnology, including ‘cloning’ of carbon nanotubes and helping to create the first conductive rival of Kevlar. 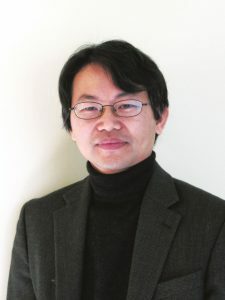 Dr Wang has been working at the University of Maryland since 2008, where he became Professor of the Department of Chemistry and Biochemistry in 2017. He is a world leader in his field through his work with quantum defects in carbon nanotubes, and was awarded the NSF CAREER Award in Chemistry for 2011–2016. LR Powell, M Kim, Y Wang, Chirality-Selective Functionalization of Semiconducting Carbon Nanotubes with a ReactivitySwitchable Molecule, Journal of the American Chemical Society, 2017, 139, 36. H Kwon, A Furmanchuk, M Kim, B Meany, Y Guo, GC Schatz, YH Wang, Molecularly Tunable Fluorescent Quantum Defects, Journal of the American Chemical Society, 2016, 138, 6878. 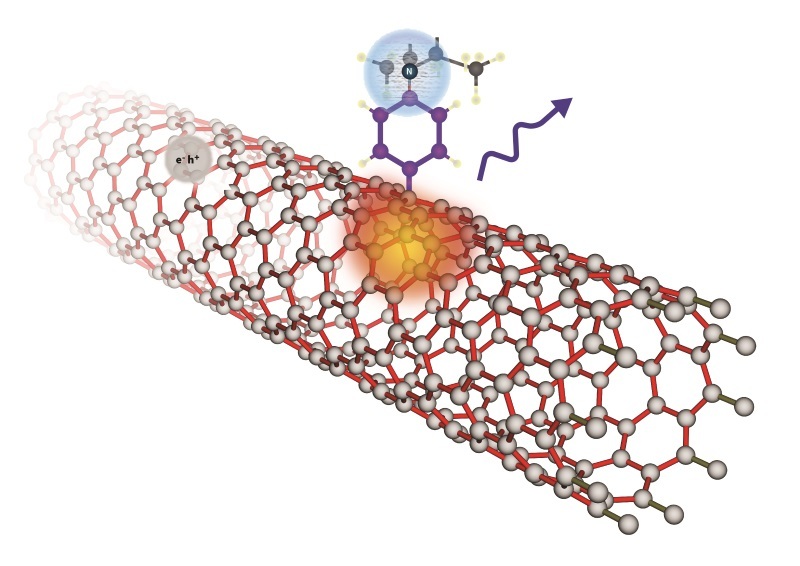 LR Powell, Y Piao, Y Wang, Optical Excitation of Carbon Nanotubes Drives Localized Diazonium Reactions, The Journal of Physical Chemistry Letters, 2016, 7, 18. H Kwon, M Kim, B Meany, Y Piao, LR Powell, Y Wang, Optical Probing of Local pH and Temperature in Complex Fluids with Covalently Functionalized, Semiconducting Carbon Nanotubes, The Journal of Physical Chemistry, 2015, 119, 7. Y Piao, B Meany, LR Powell, N Valley, H Kwon, GC Schatz, Y Wang, Brightening of carbon nanotube photoluminescence through the incorporation of sp³ defects, Nature Chemistry, 2013, 5, 10.